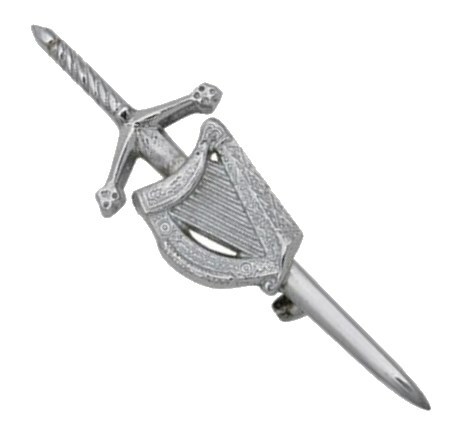 Kilt Pin with Irish Harp. Ideal for those of Irish heritage. + Made of brass with a chrome and nickle finish. + Size: 105x38mm (4.13x1.49 in).